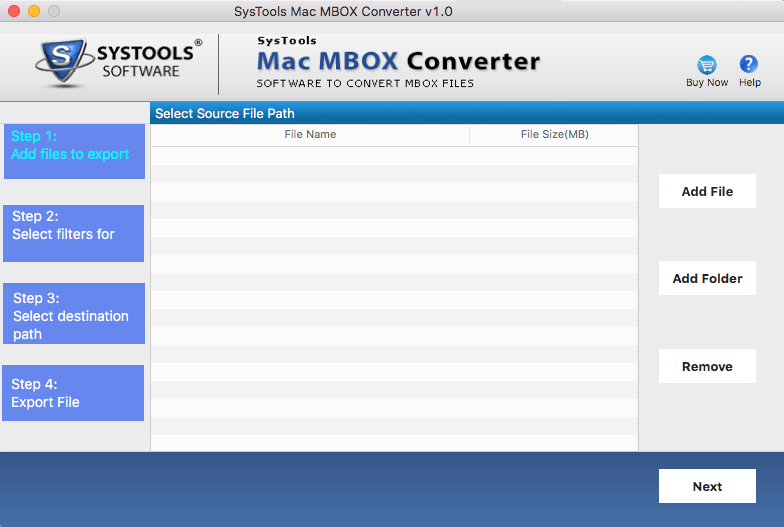 Launch the software click Start » All Program » MBOX Converter Wizard. Click Add File button for manually adding single or multiple MBOX file (s). Software will show supported email clients, select one which is already installed on your machine. After selecting the configured email application, check the radio button Default Profile Configured then click Next button. Click Process button to start processing of Configured Email application that will fetch data automatically from its default location. Another manual approach to fetch MBOX file manually by selecting radio button Select file(s)/folder from file system. Browse for MBOX File. Here you can check Use Folder Mode to select multiple MBOX files at a time. Select desired MBOX file and click Open. Software will start loading MBOX File as indicated by progress bar. One can stop this process by clicking on Stop button. 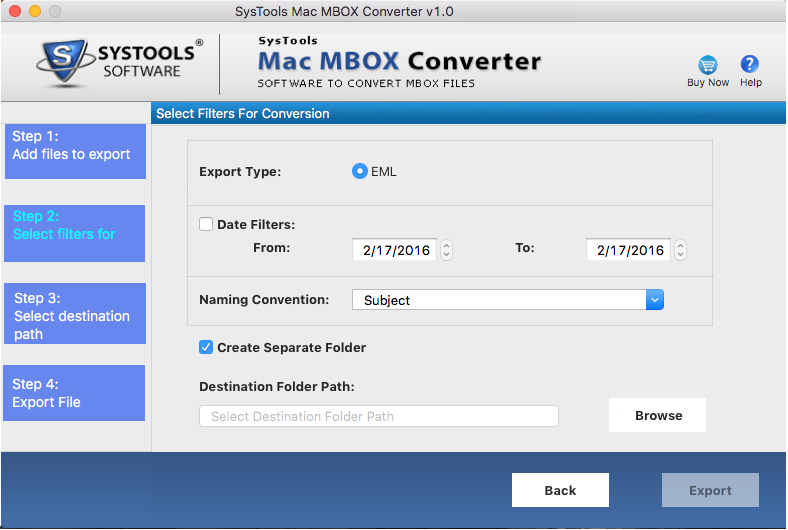 Software offer different available views to view the MBOX emails. 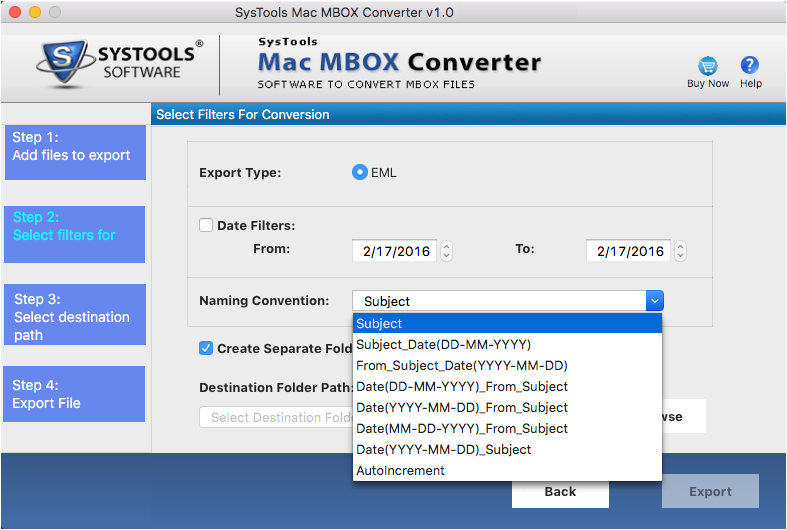 Select Export All folder to export complete MBOX file or select Export selected folders for selective export of folders from MBOX then specify the file type option in which you want to export the MBOX file..
Click Export button to start the process. Now Software will show export process progress with information like folder, Item count. As soon as software complete export process it will pop up a confirmation message. You can view the exported files directly by clicking on Open Location button. A Complete Report of export process is also generated by this tool. 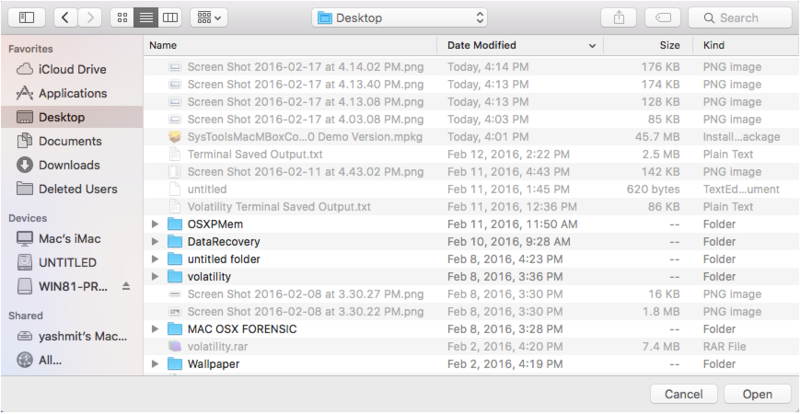 Manually navigate to the targeted location to view the exported files. 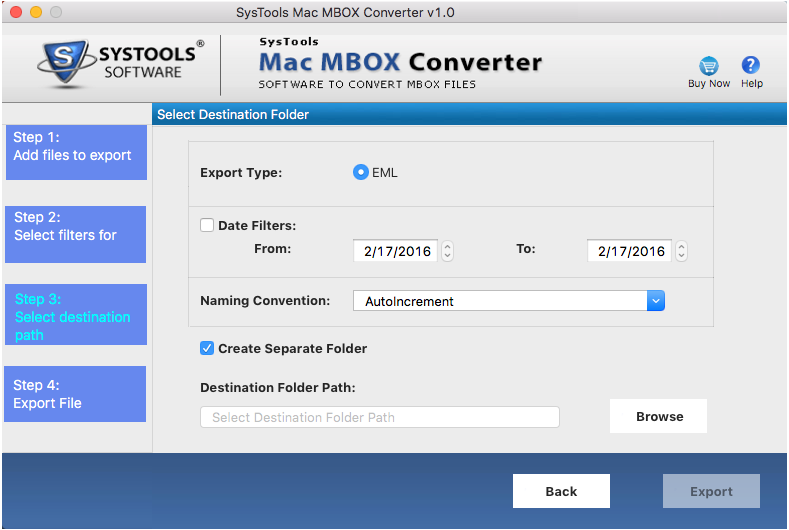 Launch the software, and Click Add File or Add Folder button to load desired MBOX file. After loading Files into software you need to specify the required export file type and Filter according to date if required. Software allow users to save exported file different naming scheme, select one from the available options. Now browse to specify the destination path for saving exported file type. Select appropriate destination location from software UI. After providing all required details. 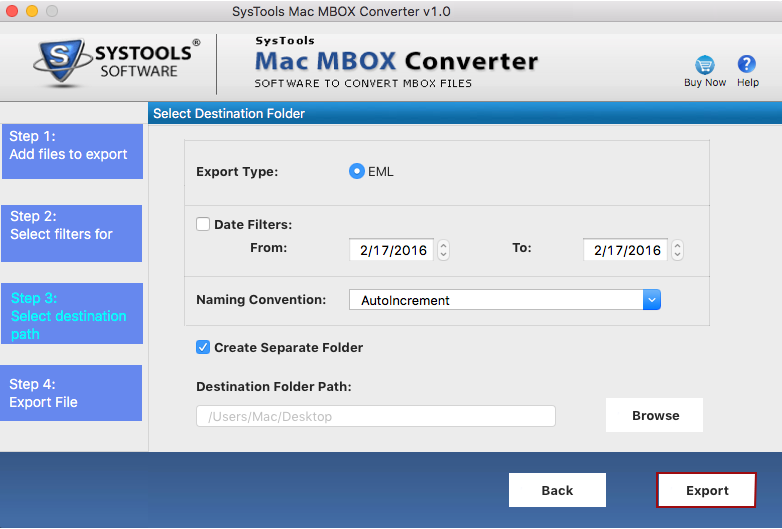 Click Export button to begin exporting of MBOX file.